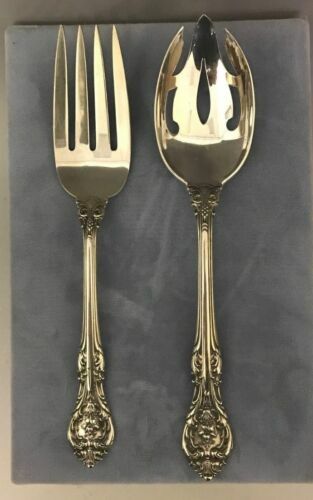 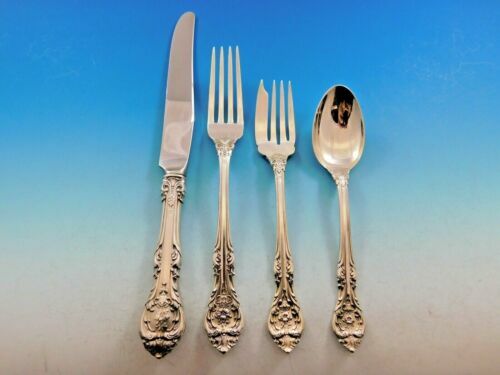 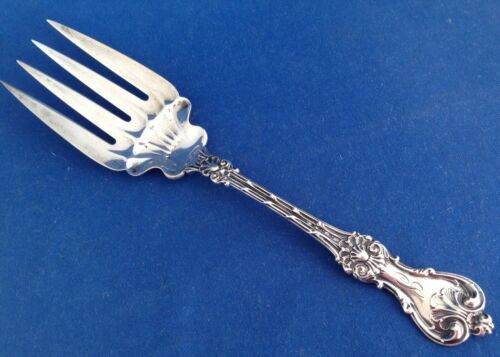 $509.0 King Edward by Whiting Sterling Silver Fish Serving Fork 9 5/8"
$275.0 Shreve & Co. Sterling Silver Set of 4 Forks Pat. 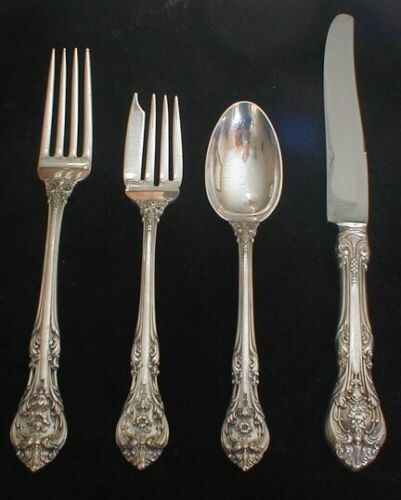 April 23, 1901 King Edward? 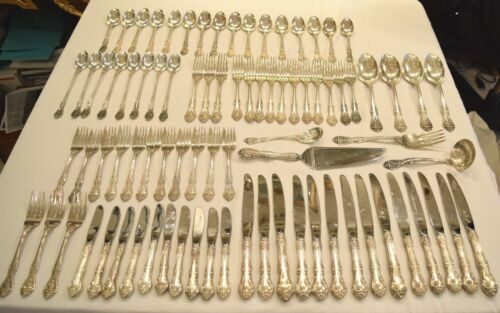 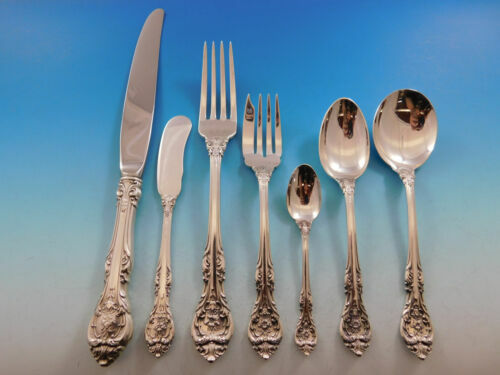 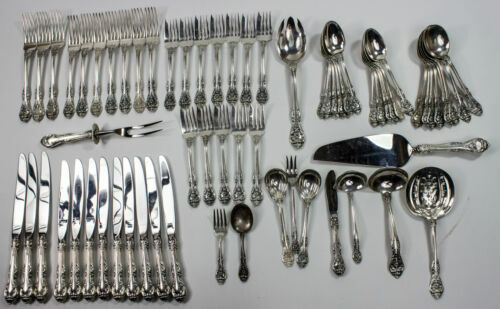 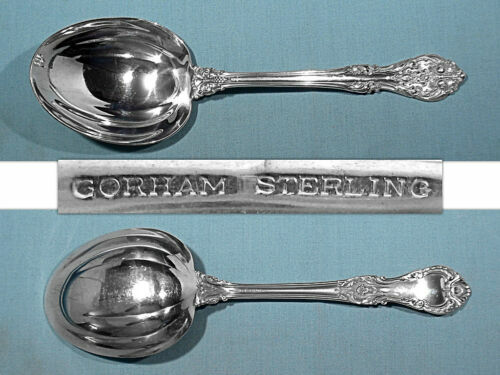 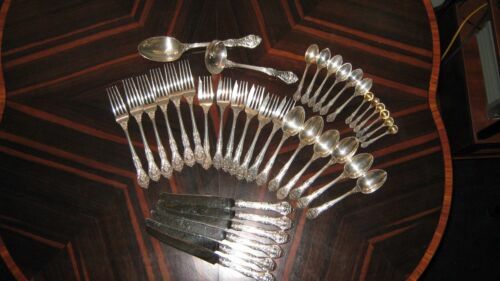 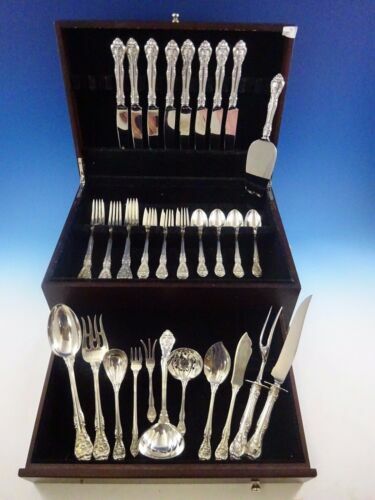 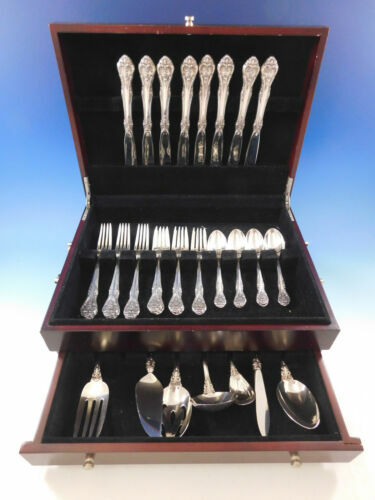 Buy: $1000.0 Gorham sterling silver flatware, "King Edward" pattern, 38pc Box Set. 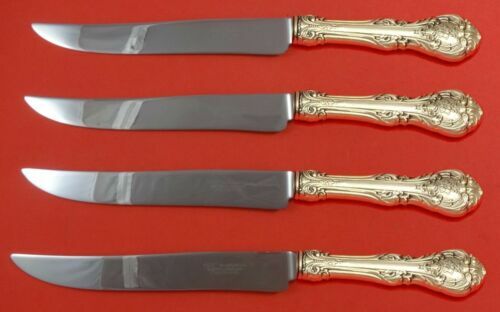 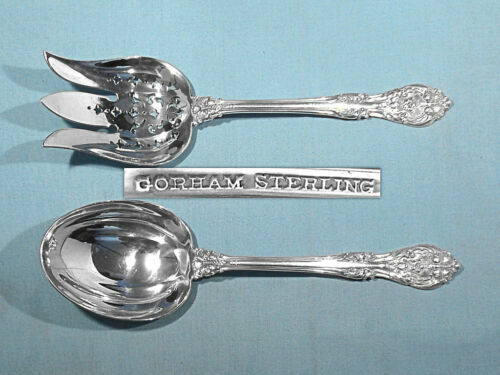 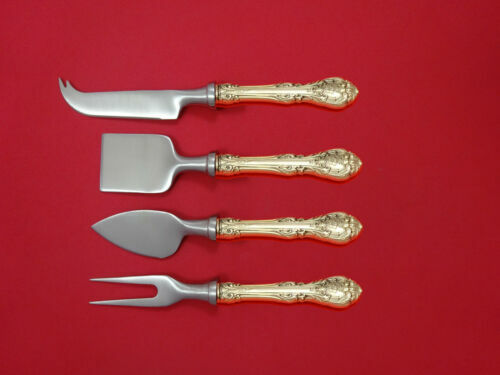 $175.0 6 Whiting King Edward Sterling Silver Butter Knives Spreaders 1901 5 3/4"
$259.0 King Edward by Gorham Sterling Silver Beef Fork with Bar 7 1/2"
$389.0 King Edward by Whiting Sterling Silver Berry Spoon 9 3/4"
$509.0 King Edward by Whiting Sterling Silver Pie Server All Sterling FH 9 7/8"
$349.99 KING EDWARD-WHITING STERLING LARGE BERRY SPOON-9 5/8"
$259.0 King Edward by Whiting Sterling Silver Chocolate Muddler Gold Washed 8 3/8"
$109.8 ANTIQUE STERLING SILVER SOUVENIR SPOON EDWARD VII KING AND EMPEROR ENAMEL ! 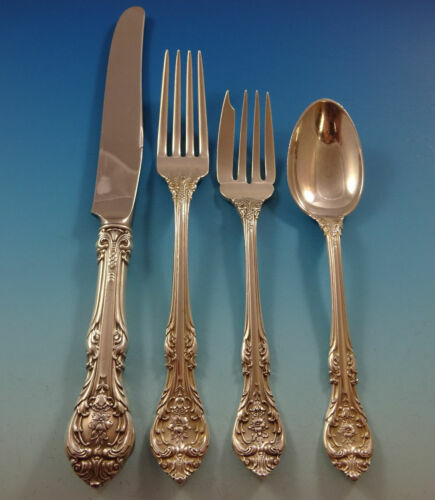 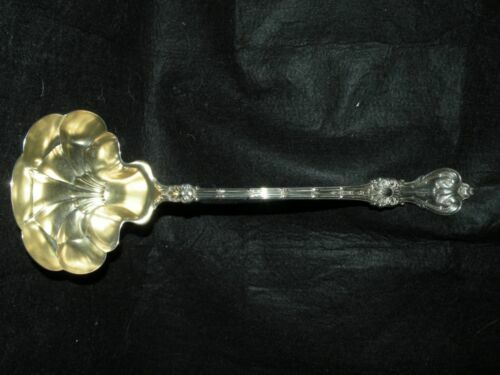 $295.0 KING EDWARD BY WHITING STERLING SILVER PIE SERVER GOLD WASHED 9 7/8"
$1500.0 King Edward Gorham Sterling Silver Flatware Service for 9 (47 Pieces), No Monos.